Whether you are a blogger, a business person, someone who enjoys analytics, or you just like seeing how far a message travels….this is for you! 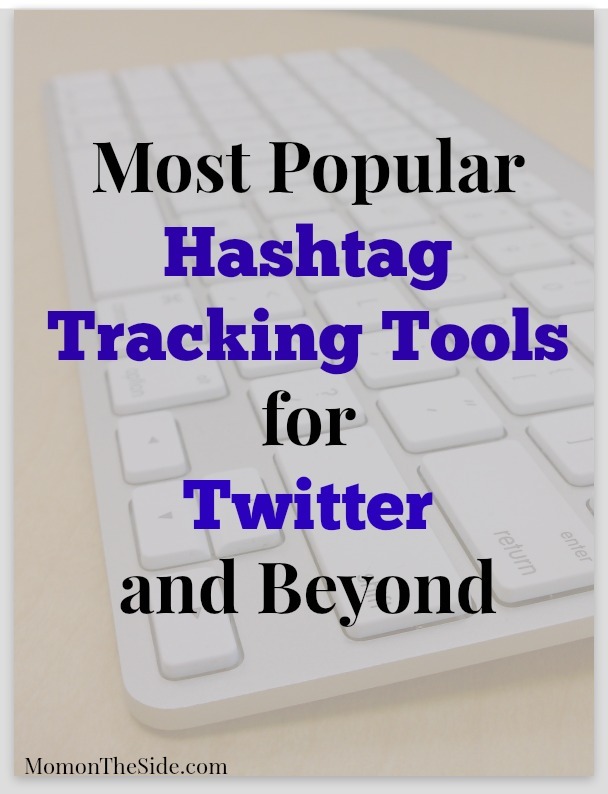 There are several Hashtag Tracking Tools for Twitter that will make well, tracking hashtags easier! 😉 Why would you want to track a hashtag? To see how far your message went, who it reached, who the biggest influencers were and more. TweetReach is one of the most common hashtag tracking tools and on that I have used most often. It’s easy to use and comprehend the analytics it offers. With Tweetreach you can search hashtags, urls, names and phrases, then analyze those tweets, as well as get an in-depth report of those metrics. They have recently added Tumblr Analysis and Instagram Analysis as well! Cost: It’s free to sign up for TweetReach and see snapshots of basic information on hashtags. Plans begin at $99 a month and you purchase single hashtag reports for $20 if you don’t need a plan. Twubs is not only a great hashtag tool, but it also allows you to engage with those hashtag users! Register your hashtag, set up your event, monitor the hashtag activity, and archive the tweets and articles with your hashtag in one place. You can even embed a real-time hashtag feed, for your hashtag, on your website if you want! Cost: You can register up to 20 hashtags for free with Twubs and if you need more, subscriptions start at $99 a month. Tagboard gathers information for your hashtag across Twitter and Facebook! You can even retweet, reply, favorite, comment, and like hashtag activity on Tagboard. You can also embed and display your hashtag and it’s posts on your website with this hashtag tool. Oh, and there is even a Tagboard App for Hootsuite if you use that for scheduling and engaging. Cost: You can create 1 free Tagboard but can request a Pro and Enterprise upgrade for a fee. Talkwalker is a great social media analysis tool for Twitter and beyond! The layout has a really nice flow and you can easily find all the analytics you want for a hashtag or topic and it’s broken down into engagement, top influencers, reach, demographics, and more. I gotta tell ya…I’m quickly falling in love with Talkwalker! Cost: You can try out Talkwalker free for 7 days (no cc needed!) and plans start at $700. Ritetag is one of the newer hashtag tracking tools for me but it really offer a lot of great features for the price! Not only can you use it to track hashtags, but you can also use it to integrate social media channels, hootsuite, bugger, tweetdeck, and more! Plus, it will give you hashtag suggestions for your event if you need them! Cost: You can try out Ritetag free for 30 days and plans start at $10 a month. What is your favorite Hashtag Tracking Tool? I haven’t heard of most of these. I’ve been looking for a good free tracking tool though so I’ll check out Topsy. I’ve never tracked a hashtag. Funny, because I track so many other trends, news, etc. Thanks for these tips, I’m going to learn to start doing this! I think it will help me keep up with what readers are into.